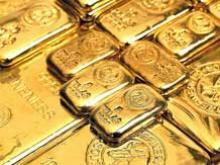 Will the hike in customs duty on gold kill the appetite for the precious metal? The govt has hiked customs duty on imported gold to 10% from 8%, and raised excise on domestically refined gold to 9% from 7%. Will this deter Indians from buying? Or will it have absolutely no impact on a nation obsessed with the metal and for whom gold isn't a mere investment avanue but a way of life and a yardstick of wealth, status and position, besides a measure of religious fervour? We look forward to your views.